We offer world class imported veneers from highly renowned manufacturers in addition to supplying decorative veneers as per our client’s requirements. Our veneer doors panel are available in a thickness of 3.6 mm. Futura Door Products Pvt. Ltd. View Catalog. With the firm commitment towards quality, we are engrossed in providing our customers with Veneer Interior Door. Fabricated from high quality Veneer Door panel that offers better resistance against shrinking, swelling and cracking. These doors can be availed in several shades and designs keeping in mind the latest trends prevailing in the market. 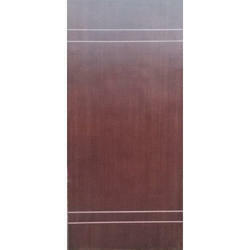 Our range of veneer doors can be also customized as per the specification of the client. That match your interior and exterior. Sizes can be customised upto 8 x 4 fts for singly shutter. 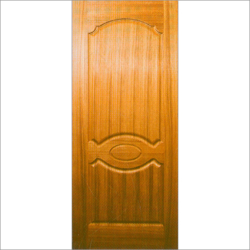 Being a quality certified organization; we are successfully engaged in offering Veneer Door. Able to add a beautiful appearance to the place, this veneer door can be purchased from us at marginal rates in bulk. GURUKRIPA provides a classic visual delight of natural wood with a remarkable range of Veneer Moulded Panel Doors. This is not part of the Masonite series. We have specially designed and imported, this veneer skin keeping in mind the climate conditions and requirements of the Indian market. The Veneer doors are available as "One side Teak" and "Both side Teak".The decorative veneer as per your choice for example, "Burma Teak", "Steam Beach", "American Walnut" etc are hot pressed using PF glue. We have gained expertise in offering quality Veneers that are used for different purposes. The Veneer is a thin layer of superior wood glue coating. These Veneers are acclaimed for perfect finish, durability. eternal like the golden hall in Vienna.